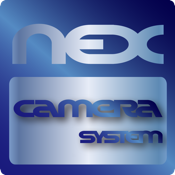 NexViewer for iPhone is an iPhone application for only NexCameraSystem. Customers who made a contract with our company can download here. You cannot use this application without contract. This makes pictures taken by IP cameras video at regular intervals in NexServer. Because it is done by server-directed,its traffic is stable and can connect no less than 100 IP cameras by a set of NexServer. More,saved videos are converted into H.264 format which is high-quality and high-compression,so the capacity becomes much small. It is very easy to maintenance because it holds initial cost and running cost and can add easily for the simple construction. It is a camera system which is low-cost and high-performance,kind to human and environment-friendly. By using NexViewer,you can play live video in real time,relive video 24 hours ago. It is possible to play video of H.264 format from browser. You can see the video through web even though you are from outside of network.